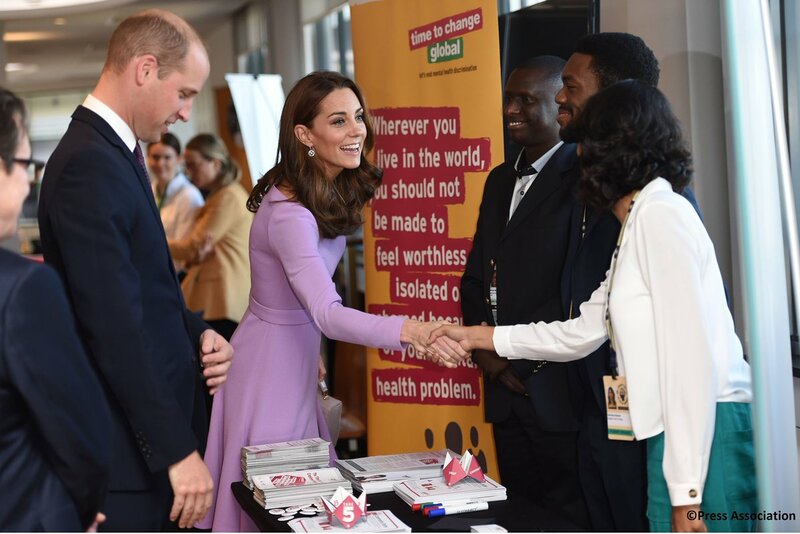 Duke and Duchess of Cambridge today attended the Global Ministerial Mental Health Summit 2018 at County Hall in London together. 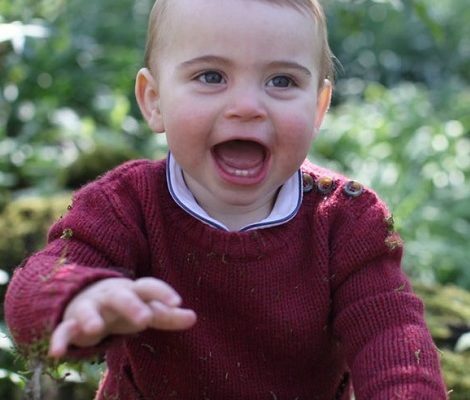 The summit is being co-hosted by the UK Government and the OECD. The 2 days summit will bring together political leaders, innovators, experts-by-experience, policy makers and civil society to share the most effective and innovative approaches to mental health and psychosocial disabilities. This Summit is the next step in a journey to a new level of co-operation so that mental health around the world can be improved. 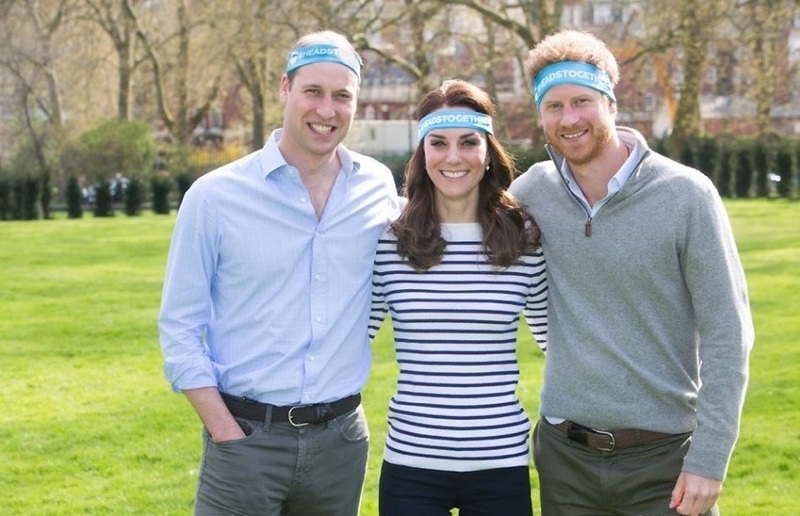 Duke and Duchess of Cambridge along with Prince Harry launched the campaign “Heads Together” under the umbrella of their Royal Foundation, to end the stigma around Mental Health. 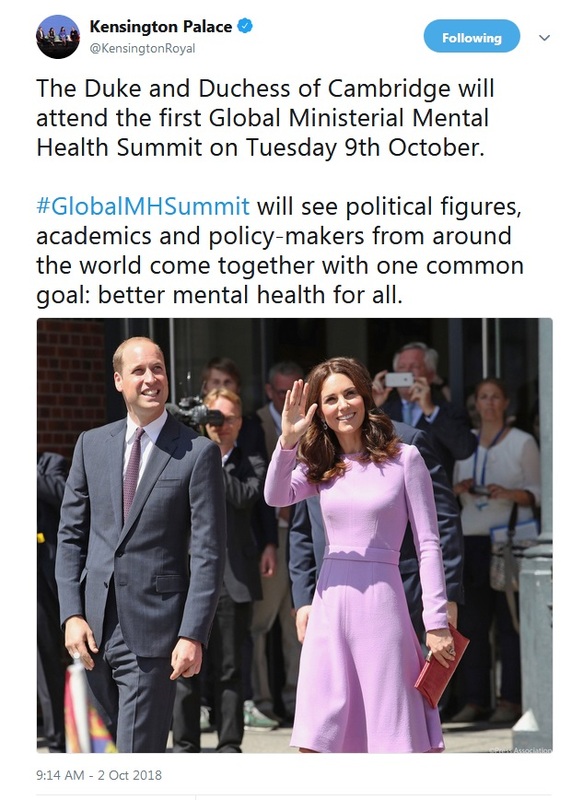 The Summit will host the launch of the landmark Lancet Commission on Global Mental Health, and secure the agreement of a political declaration to drive international action on mental health. 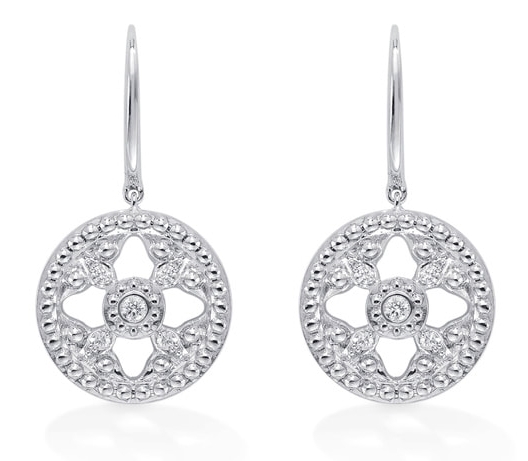 Today was couple’s first joint engagement after Catherine’s maternity leave. 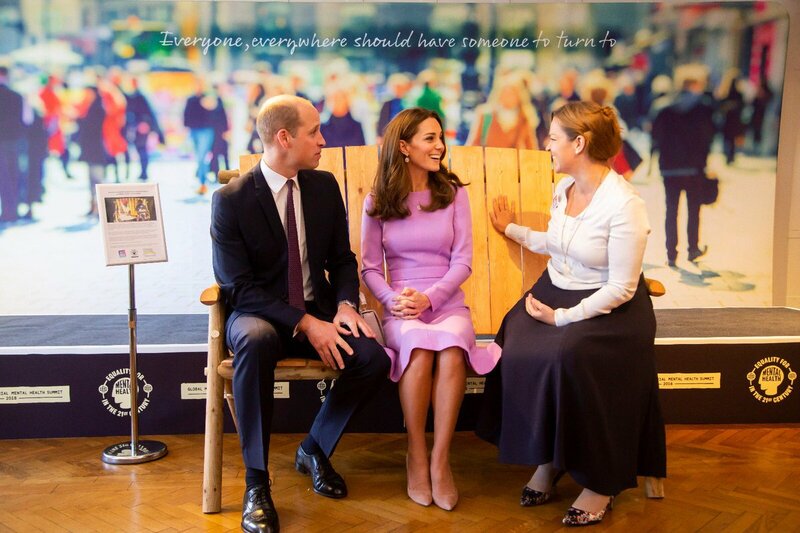 Duchess’ first engagement was last week when she visited Sayers Croft School. 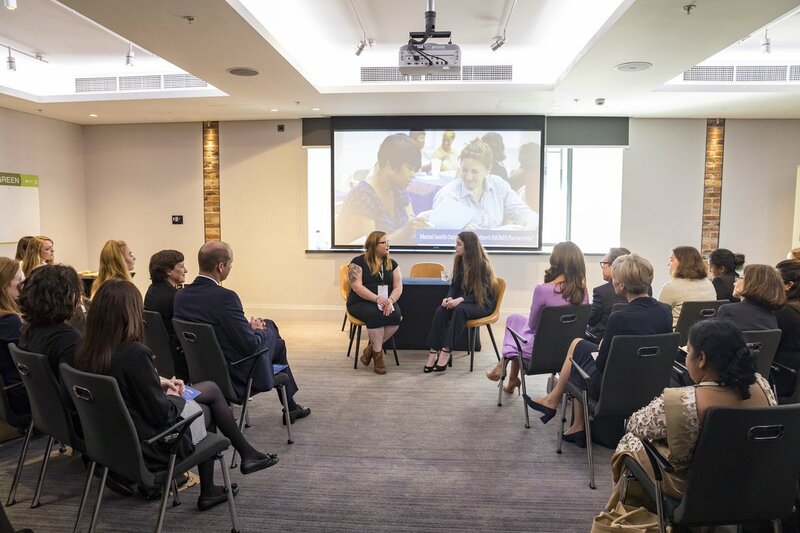 The Duke and Duchess were invited to attend a workstream on ‘Children, Young People and the Next Generation’. During the day, couple met and talked with experts and policy makers and members of civil society and various organization and learnt about two case studies of active mental health programmes in Solvenia and America. 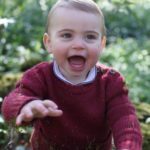 Video by The Royal Channel. 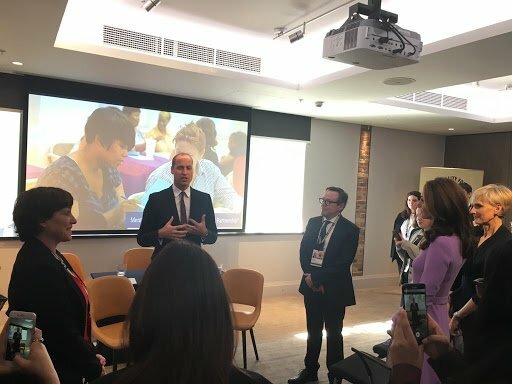 The Duke and Duchess dropped in to a workshop where they heard about a US initiative providing mental health outreach for mothers by The MOMS Partnership. 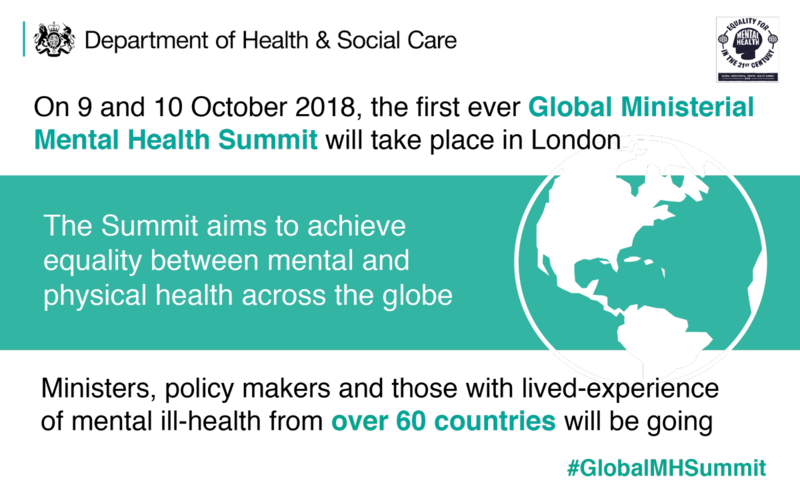 The summit hosting a showcase of different mental health organisations, such as Time to Change Global. 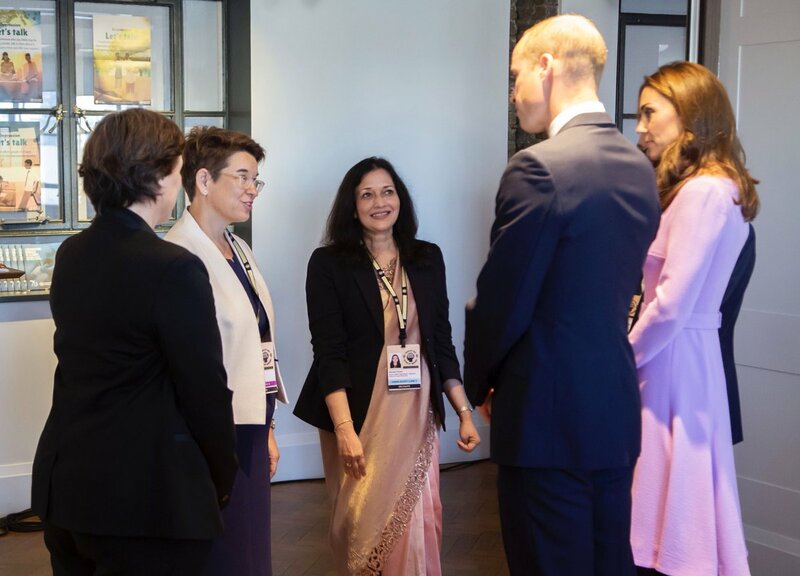 The Duke and Duchess met global anti-stigma champions Victor, Samuel and Sanchana. During the day, William and Catherine got an opportunity to try their hand on painting. 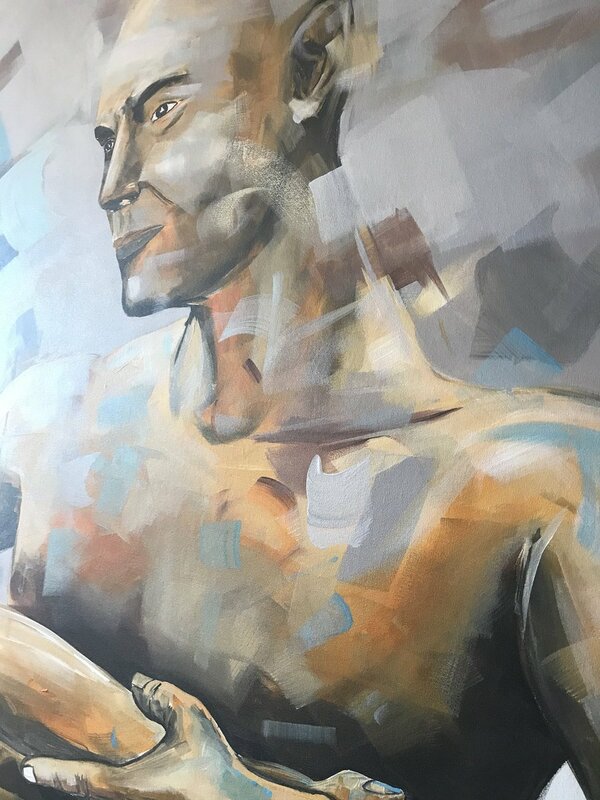 The Columbia-born contemporary artist Dario Vargas was commissioned to paint a piece inspired by the event. The London based artist, Dario asked the couple if they would like to add their own special touch to the artwork named Someone to Turn To, and William immediately step back and turned the attention towards his wife Catherine saying: ‘My wife, she’s the arty one!’ Catherine took the brush and joked, “where you can hide it”. Vargas described the couple as ‘great, very fun’. They discussed the approaches to mental health and how crucial it is to join young people in the mental health discussion with the members of organization Born this way. 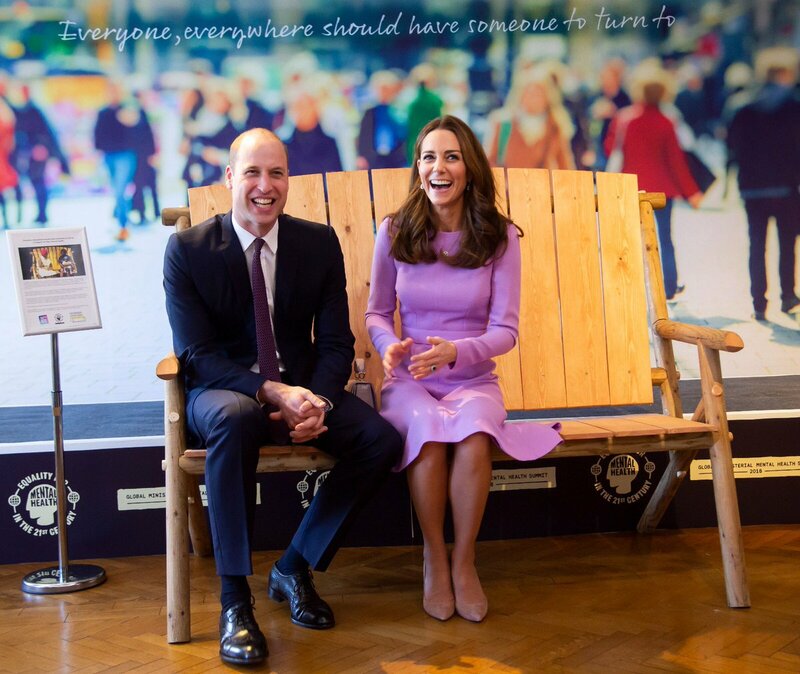 At the end of the visit, the couple visited the ‘Friendship Bench‘ run by United for Global Mental Health and heard about the work of Dixon Chibanda. 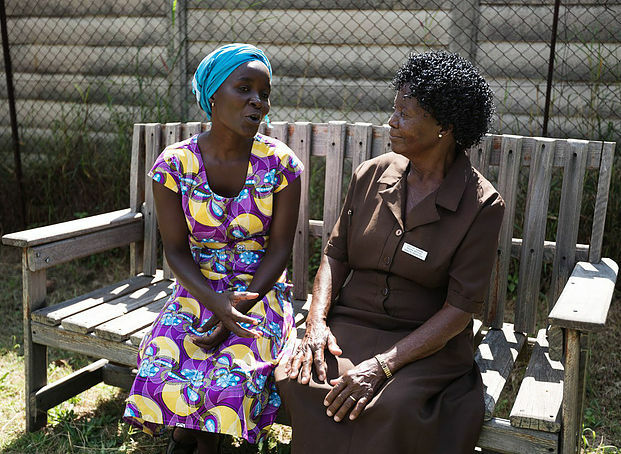 In Zimbabwe specially trained community grandmothers use the Friendship Bench as a place to listen to and support people with mental health conditions. 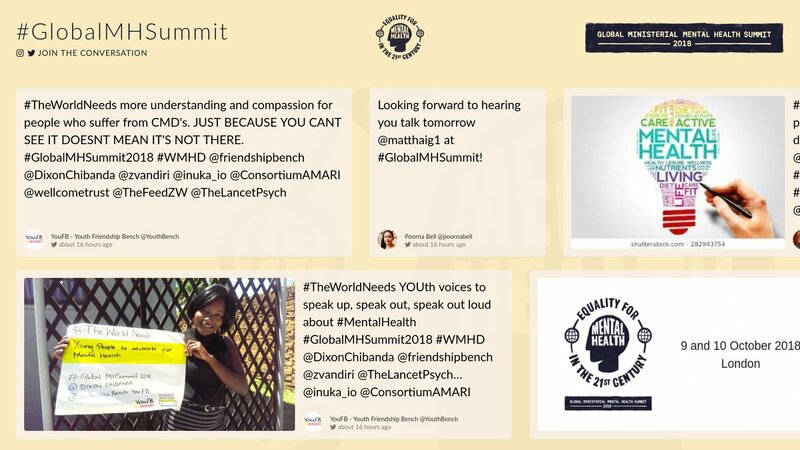 The Friendship Bench Project aims to reduce the mental health treatment gap by using a cognitive behavioural therapy based approach at primary care level to address ‘kufungisisa’. Kufungisisa, the local term for depression, is literally translated into “thinking too much”. 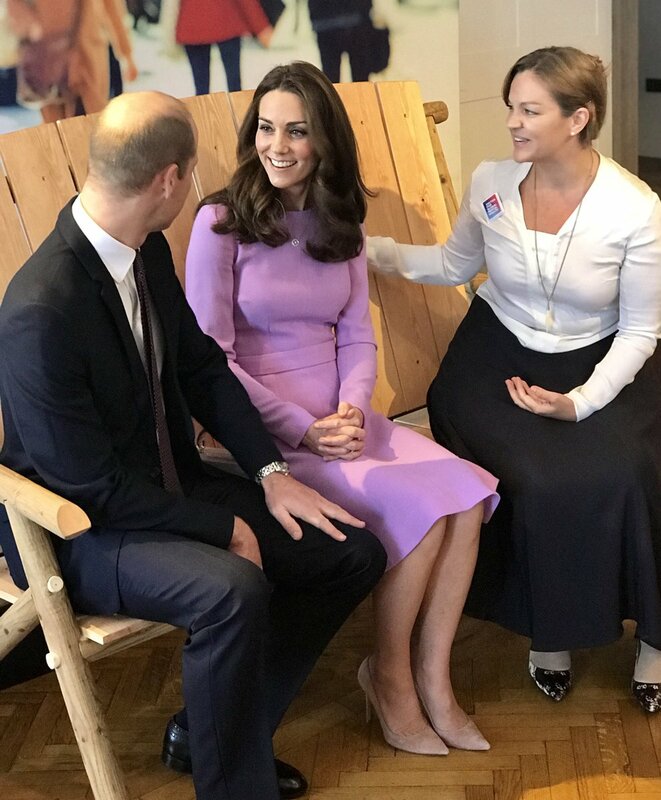 The Duke and Duchess sat down on the replica of the first friendship bench to discuss the issue with CEO Elisha London. The couple dissolved into giggles pretending to talk naturally. 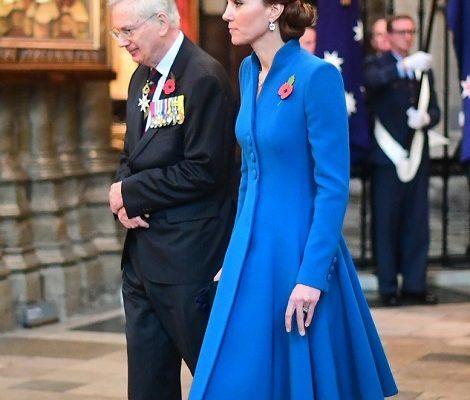 It is always fun to see William and Catherine together out and about. 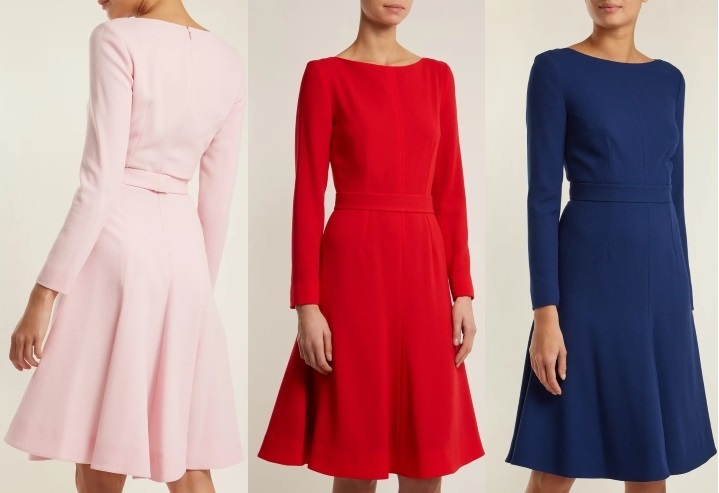 The $1745 dress is not available in Lavender colour but still available in baby pink, red and navy at MatchesFashion. 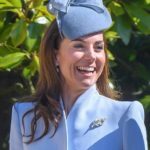 An Amusing fact is when Kensington Palace announced today’s engagement last week, they chose the picture of Duchess wearing the same dress in Germany. 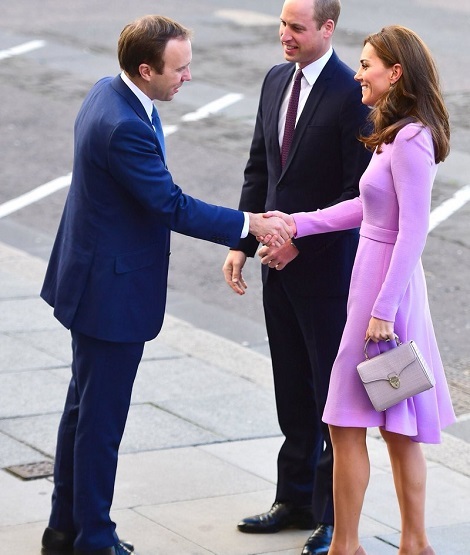 Duchess paired the dress with Gianvito Rossi ‘Gianvito 105’ Praline Suede Pumps. 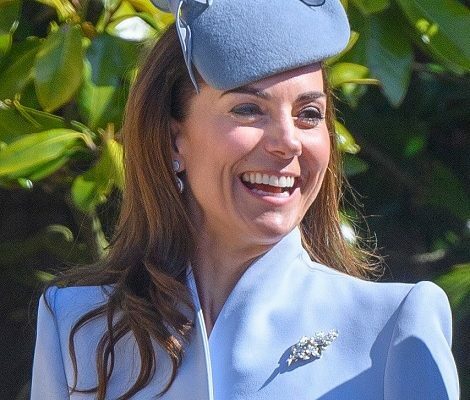 Catherine premiered a new hand bag today. 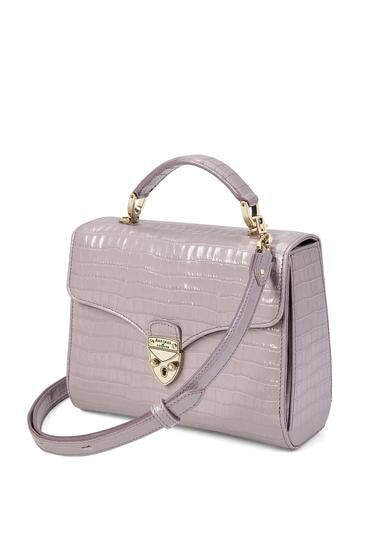 She was carrying Aspinal of London Midi Mayfair deep shine lilac small croc Bag. 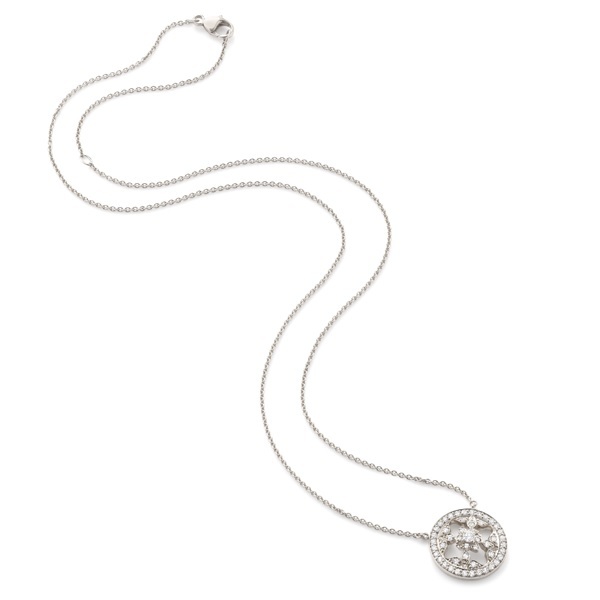 Her Mappin & Webb Empress Drop earrings and Empress Pendent Necklace. 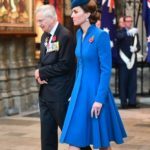 We sill see Catherine tomorrow when she will be visiting Victoria and Albert Museum for the first time as its Royal Patron. 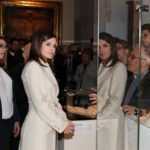 Duchess will tour the opening display at the Photography Centre entitled ‘Collecting Photography: From Daguerreotype to Digital’.